This affordable rice cooker offers a very simple, fast, and easy way to make perfect rice every time. While this product is certainly not limited to a single function, I bought the Aroma rice cooker solely for this purpose. Gradually, I became intrigued and even excited as I discovered some of the other meals that can be made using the Aroma rice cooker. First, let’s talk about how to make rice with the Aroma. We’re not huge rice eaters in my household, but we enjoy it enough to tell the difference between good rice and rice that is poorly made. Prior to buying the Aroma rice cooker, our conventional way of making rice was to add two cups of water and 1 cup of rice to boiling water, then turn it down to low and wait until it appears to be ready to eat. This 20-year old method of ours was inconsistent at best. We still have our old rice cooker, which we seldom use because it is small and inconvenient to clean. The Aroma rice cooker solves both problems by making consistently good rice very quickly and conveniently, with very little hassle cleaning up. 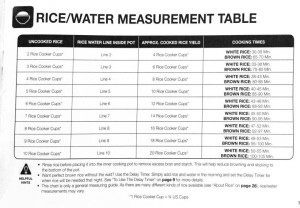 To make rice with the Aroma rice cooker, simply fill the inside of the cooking pot to the indicated number line with water and add the equivalent number of cups. For instance, if I want 4 cups of cooked rice, I fill the cooking pot up with water to the line numbered, 2. Then, I simply add 2 cups of rice using the cup that is included. Note: the cup included is specifically equal to 3/4ths cups of uncooked rice. 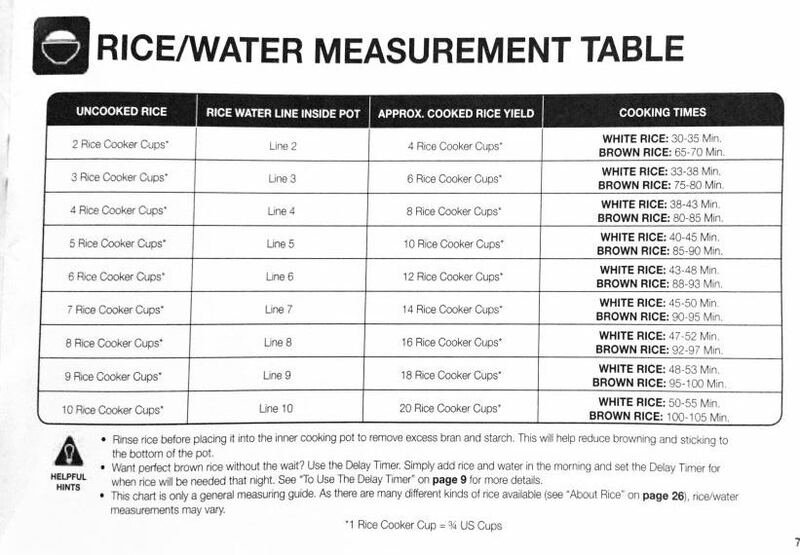 I’ve included a picture of the chart showing how much water vs. rice to use. You can make between 4 and 20 cups of rice. 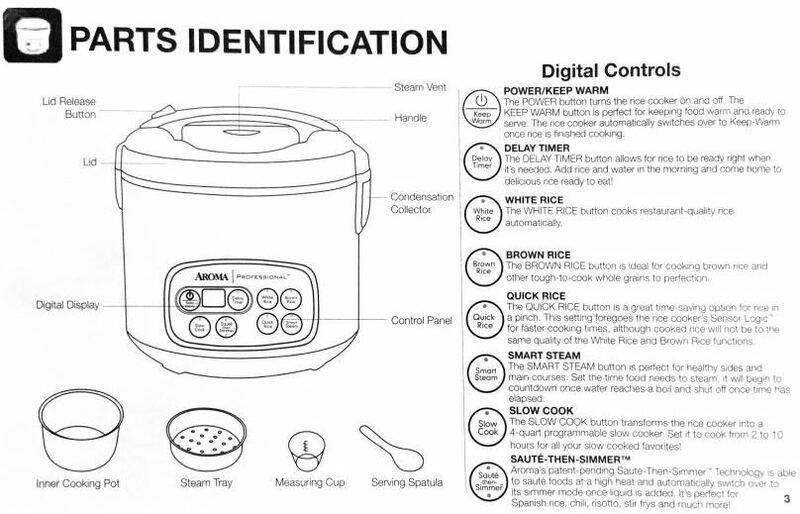 With water and rice in the cooking pot, I simply close the lid of the steamer, turn on the power button on the left-hand side, then press the digital button, labeled, White Rice. The rice will be finished in about 30-35 minutes, will beep to let me know it is done, and then the light will go off. The rice will stay warm until we’re ready to eat it. The quality, I think, is as good as it is at any Asian restaurant. It comes out consistent, thoroughly cooked, not too watery, not too sticky (unless it is sticky rice), and not crunchy at all even if left on warm for a long time. Finally, the Aroma rice cooker has a very nice ‘delay-feature’. Let’s say it is 3PM and I want to have 4 cups of cooked rice ready at 5:00PM. Instead of worrying about whether or not I will remember, I can simply put the rice and water in the pot and set the program for 2 hours. The rice will be completely ready by 5PM! Now, that is how to cook rice with little trouble or guess-work. I’m no expert on rice, but I think the Aroma rice cooker is worth the $30 I paid, just as a rice cooker, alone. I would even go so far as to say that I am actually enjoying plain, ol’ white rice a great deal more than I ever have in the past. I am finding that it goes well with just about anything and am finding myself looking forward to eating rice more than ever. My wife and I love the fact that the pot inside the cooker is removable and extremely easy to clean. The other good news is that the Aroma rice cooker does a lot of other things well, too. 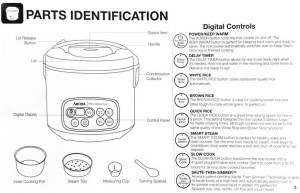 In addition to cooking white and brown rice, the Aroma rice cooker will steam vegetables, saute, simmer, slow-cook soups, stews, sauces, and even cook an entire beef or pork roast, complete with potatoes, carrots, and vegetables. The aroma rice cooker can actually replace our old crock pot as a slow-cooker. 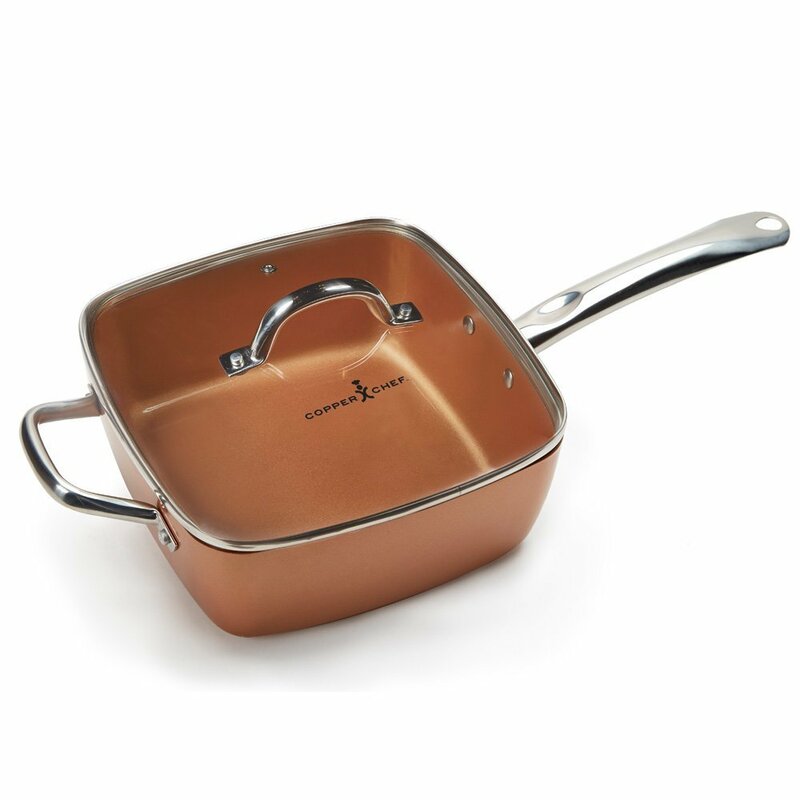 One particularly brilliant and convenient feature, I think, is the saute and simmer function. Let’s say, for example, I want to brown some Italian sausage and/or meatballs, then simmer them in a pot of spaghetti sauce. Instead of having to use a separate frying pan to brown the meat, I can put them right into the rice cooker pot. Next, I simply press the saute-then-simmer button and let it brown for a while. Once the meat has been browned to my satisfaction, I can add the spaghetti sauce, and the cooker will automatically switch-over to simmer mode! This is handy as all get-out, and it really works as advertised. The Aroma rice cooker is one of the best things we’ve gotten for our kitchen since the Veggetti and Ninja Express Chop. Besides rice, the Aroma does a whole lot other things. 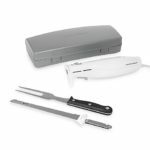 The graphic to the right will give you a much better idea of its features and capabilities. Use your imagination. By searching YouTube, you will find a variety of other ways to cook various foods with a rice steamer or rice cooker. The Aroma is programmed and designed in a clever way to make full use of its cooking possibilities. In case, you’d like to see an actual demonstration of the Aroma rice cooker, I’ve located a great video for you below. No doubt, I probably made everyone a little hungry talking about spaghetti sauce. I was not able to find a good video demonstrating the saute and simmer feature of this versatile steamer/rice cooker, so I will have to come up with my own in the very near future. I promise to include a video using my recipe, Homemade Spaghetti Sauce from Scratch, using the Aroma rice cooker next time it’s on our household dinner menu. It’s not just a rice cooker, the Aroma really does do a lot of things very well. If there is one limitation I can think of, it’s that the 20-cup capacity will probably not be enough to handle a large, Italian family dinner. Still, the Aroma is a great rice cooker, and more! The iCoffee Opus by Remmington has continued to serve my needs well the past couple of years. I do have a recommendation to insure that you are getting the most out of the product and making the best coffee possible on a consistent basis. Over time, I noticed that the coffee began to taste less strong and bold. The problem was consistent whether regardless of the brand of K-Cups I used. After giving the iCoffee brewer a good cleaning with vinegar the coffee immediately improved back to the impressive level it was at the time of this review. The other recommendation I have is to remove the plastic taste from the brewer using the recommendations here: Coffee Tastes like Plastic. A new model, the Mozart has been introduced. From what I can tell from the manufacturer website these products are both the same and both names Opus/Mozart are being used to describe the product online. Scroll below for the full review on the iCoffee Opus which should also apply to the Mozart . The price on the Opus seems to have sky-rocketed since I last did this review. The Mozart model seems to have the very same features and is considerably less money. This review also applies to the iCoffee Mozart. The name Opus and Mozart appear to be interchangeable. As you have probably noticed from my dozens of coffee-maker reviews, coffee brewers are a bit of a habit with me. I’ve tried percolators, drip makers, thermal carafe brew stations, grinder-drip makers, various single-cup Keurig machines, Tassimo single cup brewers, and French Presses. 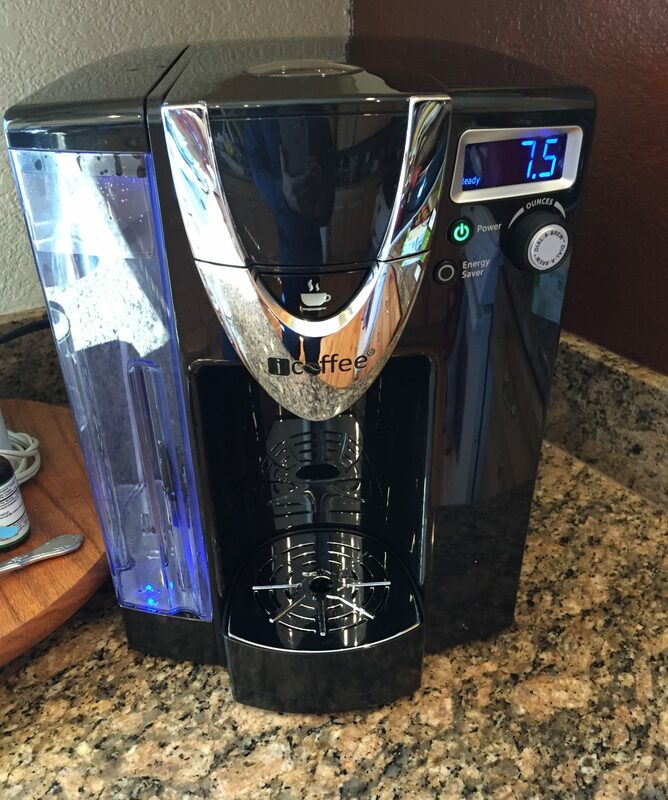 The latest addition to my coffee maker addiction is a new and improved, off-brand version of the most popular, single-cup, K-Cup brewer, the iCoffee Opus. While there are a few other off-brand, K-Cup brewers, the iCoffee Opus utilizes a unique technology not found in other coffee makers.